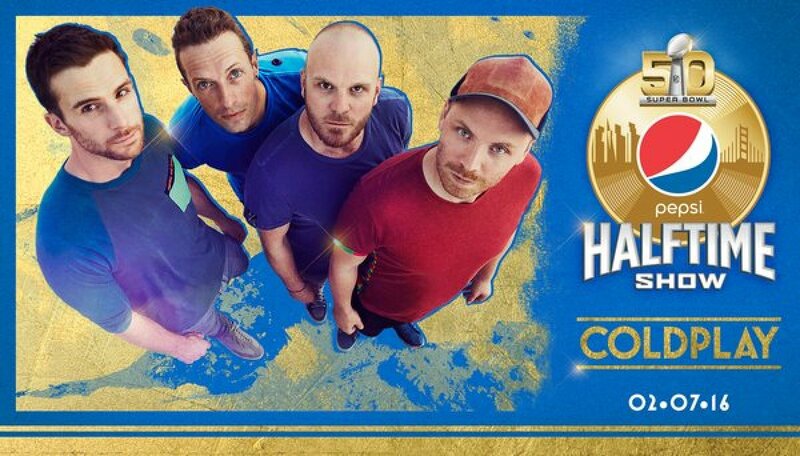 The rumors are true…Coldplay will perform during halftime at Super Bowl 50. The group -- Chris Martin, Guy Berryman, Johnny Buckland and Will Champion -- will make their halftime-show debut at Levi’s Stadium in Santa Clara, Calif., on Feb. 7, 2016. The Super Bowl is a notable tour stop on their forthcoming trek across the globe; Coldplay announced the first string of dates in Europe and Latin America earlier this month. The British artists are designing a show that will embrace elements of the league’s “On the Fifty” campaign, which celebrates football’s past, its present and glances into the future, according to reps.
Coldplay will join an elite circle of halftime acts which includes Prince, Beyoncé, Madonna, The Who, Bruce Springsteen & The E Street Band, Katy Perry, Bruno Mars, Tom Petty and the Heartbreakers, Prince, the Rolling Stones, Paul McCartney, U2 and others. The show is produced in partnetership with the NFL by Ricky Kirshner, set design by Bruce Rodgers and will of course be directed by our own Hamish Hamilton ! !